A winter visit to Morecambe Bay on the north west coast of England can be hugely rewarding for the birdwatcher. If timed to coincide with a high spring tide it is possible to see large flocks of waders, particularly red knot, wheeling in the sky in vast numbers as they look for suitable roosting sites. 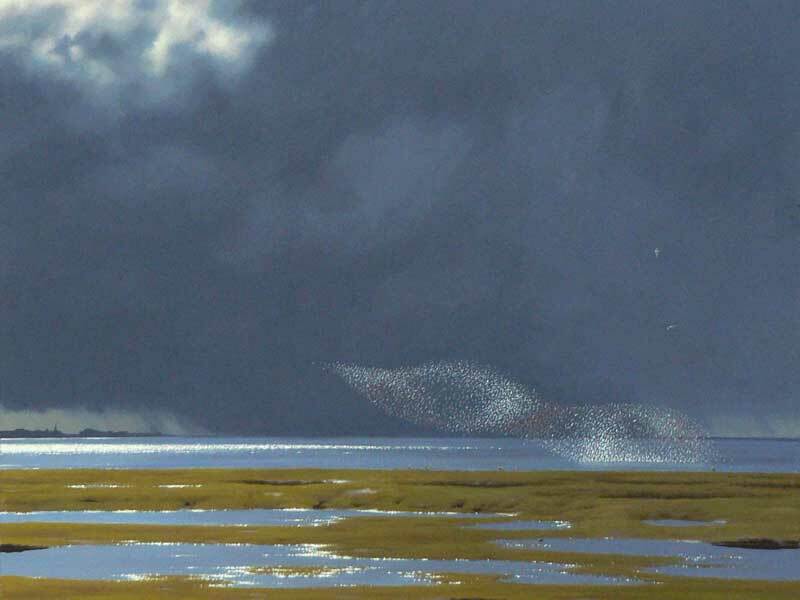 I had always thought that to see the spectacle of these flocks against dark, stormy skies could be a great subject for a painting and I was lucky enough to witness it one January day at Morecambe Bay. At particularly high tides the birds are restless as their favoured roosting sites are inundated. 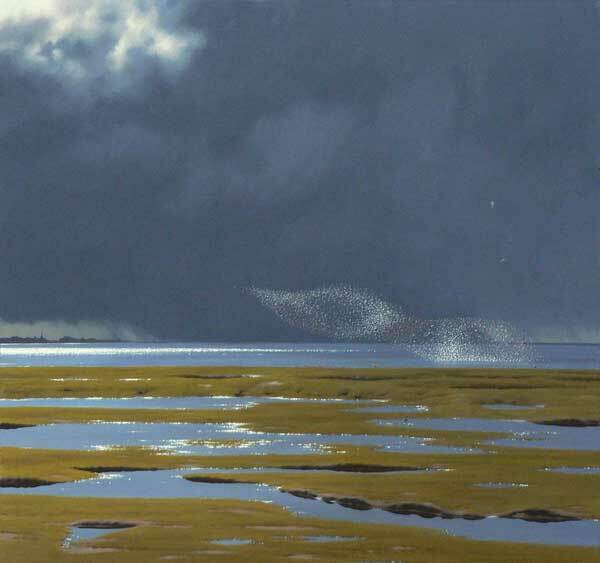 Until the tide recedes and they can resume feeding on the exposed mud flats they frequently take to the air and perform aerial displays that are reminiscent of the spectacular winter murmurations of starlings.